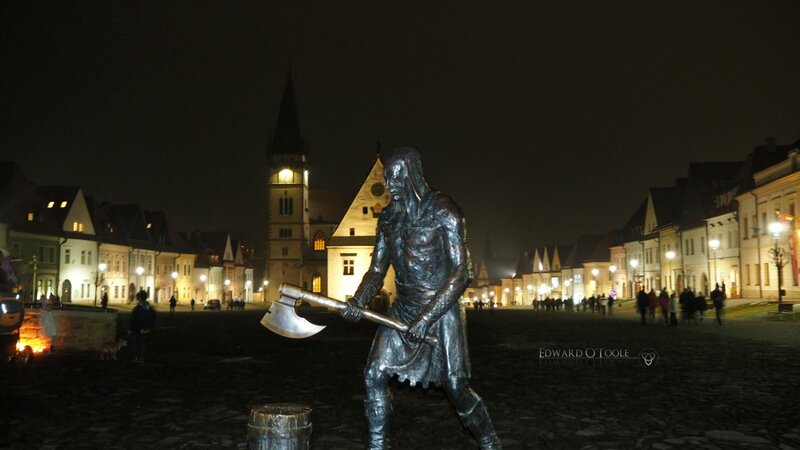 This evening my wife and I went to the beautiful UNESCO town of Bardejov in North Eastern Slovakia to meet a friend for coffee and observe the anti-government protest taking place in the medieval town square. 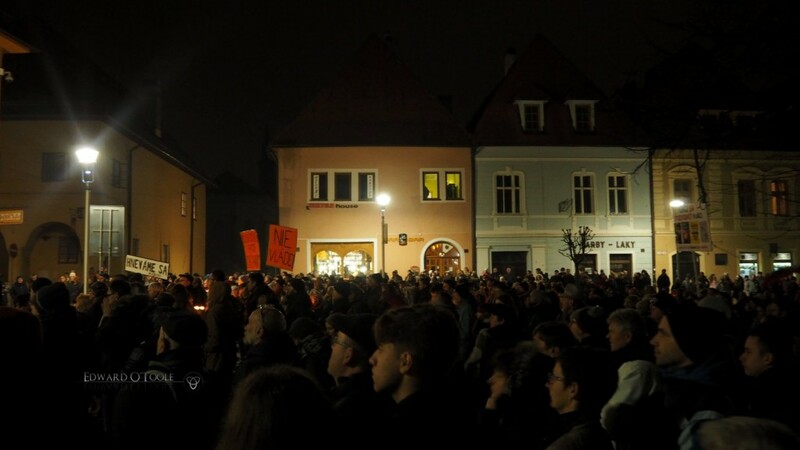 This protest is just one of many being held simultaneously in towns and cities across the country in the aftermath of the assassination of journalist Jan Kuciak and his girlfriend Martina Kušnírová. The situation in the country is quite volatile at the moment, with ministers, and even the chief of police, being asked to step down and under threat of prosecution. There is a concerted campaign for a no-confidence vote which will force Prime Minister Fico to end his government and call for new elections, with corruption being the main focus of the lack of faith. On the other hand, Prime Minister Fico is accusing the billionaire George Soros (already banned from Hungary and Thailand for similar activities) of being involved with both President Kiska and members of various opposition parties, calling it a conspiracy. 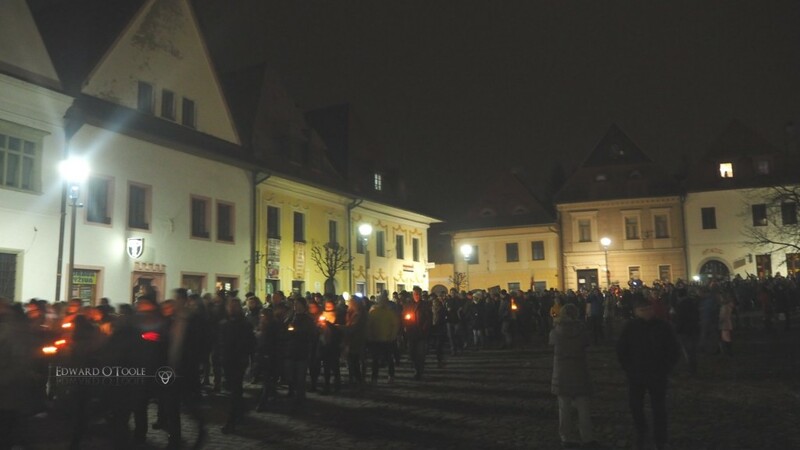 Being a foreigner, albeit one who has lived in Slovakia for exactly 20 years and one who has seen more than a fair share of governments being accused of similar dastardly activities, I attended the protest in a neutral, observational capacity. 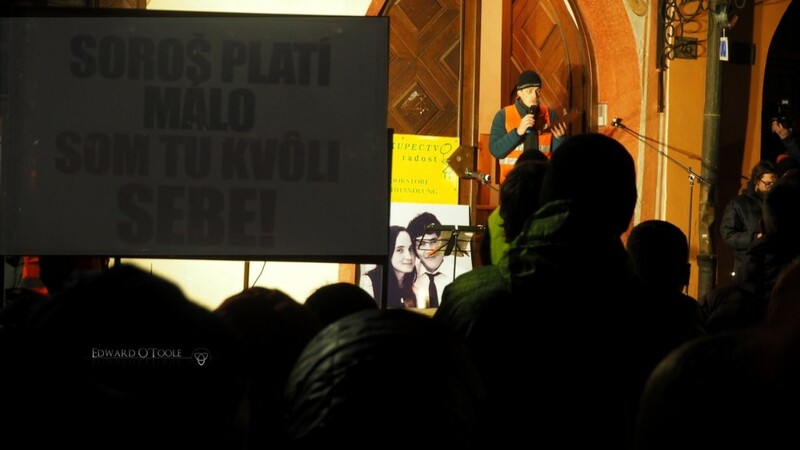 It was a cold evening, somewhere just below zero Centigrade, but several thousand people turned up. The organisers began by asking everyone to be peaceful, and to let others – even those with contradictory viewpoints – to have their say. And it was peaceful, and quite moving. Being a writer myself, I felt for the young journalist. Having kids growing up in what could be a fantastic country comparable to Sweden or Austria, I understood the bitter lament of the speakers. For my wife it was an poignant gathering, especially when some young woman started playing a famous revolutionary song on the guitar. 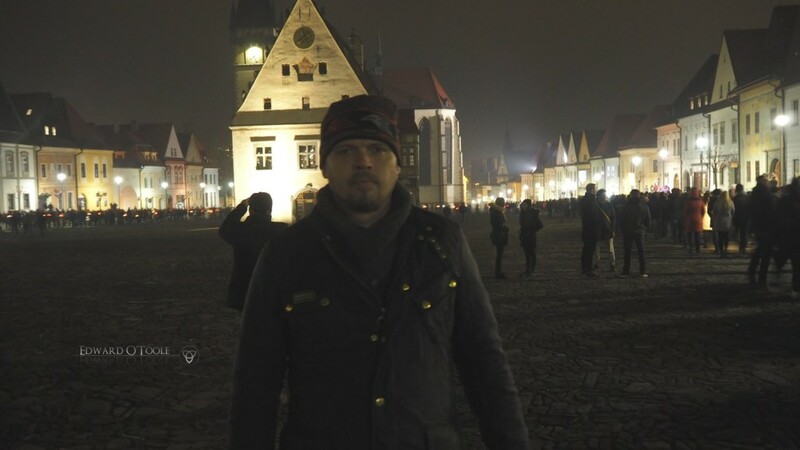 My wife had been a student in Bratislava when the revolution was declared in 1989, and she and her fellow students had taken to the streets to see the end of the Communist regime. Almost 30 years later, the people have again taken to the streets, many probably wondering what happened to the golden democratic future they’d been promised. I’ve no idea what will happen in the coming weeks, I only hope that, at some point, Slovakia starts planning for its future, and for the future of its children, rather than constantly living in a ‘gimme now’ state. Because that’s just not working out. I love this country and I pray that it finally gets the chance to prove itself to both the world and to its own people.